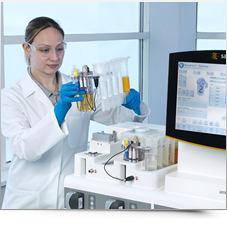 New benchtop bioreactor for parallel fermentation or cell culture. ambr® 250 modular is a new high performance, single-use benchtop bioreactor system for parallel fermentation or cell culture. The system combines mini bioreactor stations, a control module and software to allow users to set up experiments quickly and easily, enabling them to focus more on the science. In addition, a new fully integrated mini bioreactor vessel design eliminates the need for sterilization and reduces the risk of human error. 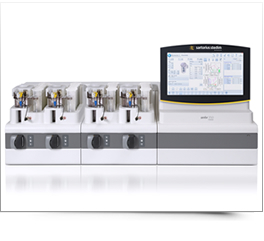 The ambr 250 modular benchtop bioreactor system enables the rapid set up and turnaround of experiments, reducing the time required to complete an experimental campaign. Modular, expandable design offers parallel control of 2, 4, 6 or 8 bioreactor experiments to meet the growing needs of your lab. 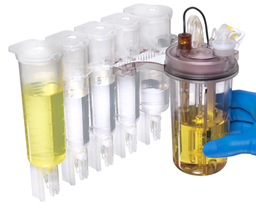 The mini bioreactor vessel is fully integrated with liquid reservoirs and proprietary syringe pumps; and the unit is single use. This innovative design simplifies experimental set-up, significantly reduces manual handling and eliminates the need for vessel sterilization. Sparge or headspace gassing options. New benchtop bioreactor ambr 250 modular is supplied with the same easy-to-use software as the established ambr 250 high throughput system. Experiment viewer: Historical application enables users to fully analyse experiments looking at audit trails, all variables and completed recipes. All applications enable export and import of data to/from different sources.